After police removed furniture, Christian iconography and other items from the building, they closed down the building using chains, an unnamed Christian villager told ICC..
"During the early hours of Friday, June 16, we [Christians] were surprised to find the furniture, rugs, icons, pictures, and worship utensils ... had been thrown outside and the building closed down with seals and chains," the Coptic Christian villager was quoted as saying. "We took the belongings into our homes. We don't know why the police did that." "We were livid at the recent police raid against the building. The behavior by the police was inexplicable," the church's priest told ICC. "I demanded the Interior Minister [launch] an urgent investigation into the incident." ICC reported last July that a radical Muslim mob attacked four Christian-owned houses in Saft Al-Kharsa, noting that the mob was enraged after hearing rumors that one of the four houses was to be converted into a church. The attack marked the fifth attack on Christians over suspecions that a building would be used as a church within a matter of weeks. ICC noted at the time that there were about 60 Christians in the village with no church to worship in. The ICC press release explains that the day after the July 22, 2016, attack on the Christian homes, Copts and Muslims convened for a reconciliation session. Although no damages were awarded to the families who had suffered damage to their homes, participants agreed that the building could only be used as a residence until all government permits had been granted. However, local authorities have not been willing to comply with the Copts' request for permits. ICC reports that a request issued last November to the Beni Sweif governor Sherif Habib to legalize the building as a church had not received a response before the church was raided. Despite the lack of permits, the Christians proceeded to use the building for worship in order to avoid having to travel farther to worship. "Not only have Christians struggled to build churches in this area for several years, but village Christians have begun traveling to other places of worship. Unfortunately, traveling has proven dangerous as well," the ICC press release explains. "Some of the Coptic Christians killed in the May bus attack in Egypt were from this village and were traveling to worship as the government and their Muslim neighbors have made it difficult to build a church at home." The day after the government raided the church, 50 religious leaders met with Gov. Habib and demanded an adequate church building for the Christians in Saft Al-Kharsa and that the building be licensed as a community center that can legally hold worship services. However, ICC states that the governor claimed that the building was in a state of disrepair and that he ordered it to be demolished. "Clerics reminded the governor that this building was not life-threatening and that they had been trying to gain legalization in accordance with the law since 2016," the press release explains, adding the governor eventually ordered the building be reopened as a community center. However, the governor ordered that no worship could be held there until a permit was received from the prime minister. The governor promised to address the prime minister about this issue in a timely manner. 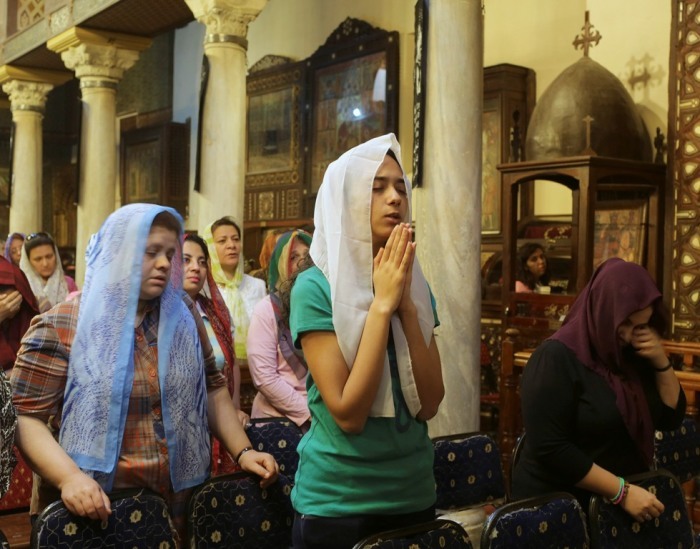 As Copts throughout Egypt have been victimized by extremist church bombings and a string of murders that occurred earlier this year, the nation ranks as the 21st worst nation in the world when it comes to the persecution of Christians, according to Open Doors USA's 2017 World Watch List. "This series of persecution is an excellent example of how legal persecution through the withholding of a building permit can lead to more violent and deadly attacks," William Stark, ICC's regional manager, said in a statement. "Because these villagers had no place to legally worship, they joined a bus caravan to a monastery and some were killed when IS attacked their caravan. Christians have the right to worship in churches and the government needs to remain fair in authorizing such permits."